1,000 pF C-SM1000 Item Height 0.48 in. 1,000 pF C-SM1000 Item Length 0.6 in. 1,000 pF C-SM1000 Item Width 0.18 in. 1,000 pF C-SM1000 Packaging Dimensions 1.8 in. x 0.6 in. x 0.2 in. 1,000 pF C-SM1000 Weight 0.003 lbs. 10 pF C-SM10 Item Height 0.29 in. 10 pF C-SM10 Item Length 0.43 in. 10 pF C-SM10 Item Width 0.15 in. 10 pF C-SM10 Packaging Dimensions 1.6 in. x 0.5 in. x 0.3 in. 10 pF C-SM10 Weight 0.001 lbs. 100 pF C-SM100 Item Height 0.3 in. 100 pF C-SM100 Item Length 0.44 in. 100 pF C-SM100 Item Width 0.14 in. 100 pF C-SM100 Packaging Dimensions 1.8 in. x 0.5 in. x 0.2 in. 100 pF C-SM100 Weight 0.003 lbs. 12 pF C-SM12 Item Height 0.3 in. 12 pF C-SM12 Item Length 0.43 in. 12 pF C-SM12 Item Width 0.15 in. 12 pF C-SM12 Packaging Dimensions 1.5 in. x 0.25 in. x 0.153 in. 12 pF C-SM12 Weight 0.001 lbs. 120 pF C-SM120 Item Height 0.28 in. 120 pF C-SM120 Item Length 0.42 in. 120 pF C-SM120 Item Width 0.14 in. 120 pF C-SM120 Packaging Dimensions 1.6 in. x 0.5 in. x 0.3 in. 120 pF C-SM120 Weight 0.003 lbs. 150 pF C-SM150 Item Height 0.29 in. 150 pF C-SM150 Item Length 0.43 in. 150 pF C-SM150 Item Width 0.15 in. 150 pF C-SM150 Packaging Dimensions 1.8 in. x 0.5 in. x 0.2 in. 150 pF C-SM150 Weight 0.001 lbs. 22 pF C-SM22 Item Height 0.3 in. 22 pF C-SM22 Item Length 0.42 in. 22 pF C-SM22 Item Width 0.16 in. 22 pF C-SM22 Packaging Dimensions 1.8 in. x 0.5 in. x 0.2 in. 22 pF C-SM22 Weight 0.001 lbs. 220 pF C-SM220 Item Height 0.34 in. 220 pF C-SM220 Item Length 0.45 in. 220 pF C-SM220 Item Width 0.17 in. 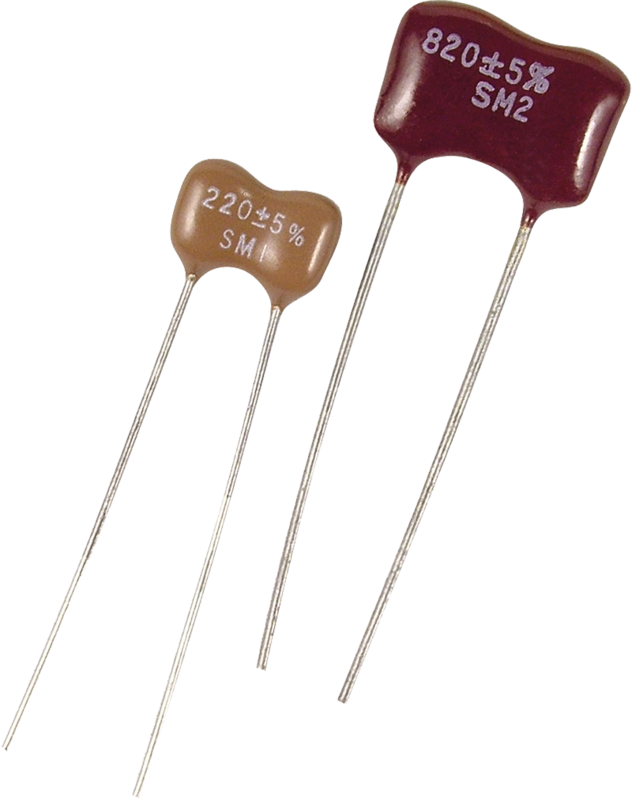 220 pF C-SM220 Packaging Dimensions 1.8 in. x 0.5 in. x 0.2 in. 220 pF C-SM220 Weight 0.001 lbs. 250 pF C-SM250 Item Height 0.34 in. 250 pF C-SM250 Item Length 0.45 in. 250 pF C-SM250 Item Width 0.17 in. 250 pF C-SM250 Packaging Dimensions 1.8 in. x 0.5 in. x 0.2 in. 250 pF C-SM250 Weight 0.002 lbs. 270 pF C-SM270 Item Height 0.34 in. 270 pF C-SM270 Item Length 0.45 in. 270 pF C-SM270 Packaging Dimensions 1.6 in. x 0.5 in. x 0.3 in. 270 pF C-SM270 Weight 0.001 lbs. 300 pF C-SM300 Item Height 0.34 in. 300 pF C-SM300 Item Length 0.47 in. 300 pF C-SM300 Item Width 0.18 in. 300 pF C-SM300 Packaging Dimensions 1.8 in. x 0.5 in. x 0.2 in. 300 pF C-SM300 Weight 0.002 lbs. 390 pF C-SM390 Item Height 0.47 in. 390 pF C-SM390 Item Length 0.61 in. 390 pF C-SM390 Item Width 0.17 in. 390 pF C-SM390 Packaging Dimensions 1.8 in. x 0.5 in. x 0.3 in. 390 pF C-SM390 Weight 0.003 lbs. 47 pF C-SM47 Item Height 0.32 in. 47 pF C-SM47 Item Length 0.42 in. 47 pF C-SM47 Item Width 0.15 in. 47 pF C-SM47 Packaging Dimensions 1.8 in. x 0.5 in. x 0.3 in. 47 pF C-SM47 Weight 0.001 lbs. 50 pF C-SM50 Item Height 0.29 in. 50 pF C-SM50 Item Length 0.42 in. 50 pF C-SM50 Item Width 0.14 in. 50 pF C-SM50 Packaging Dimensions 1.8 in. x 0.5 in. x 0.3 in. 50 pF C-SM50 Weight 0.003 lbs. 500 pF C-SM500 Item Height 0.34 in. 500 pF C-SM500 Item Length 0.45 in. 500 pF C-SM500 Item Width 0.18 in. 500 pF C-SM500 Packaging Dimensions 1.8 in. x 0.5 in. x 0.2 in. 500 pF C-SM500 Weight 0.002 lbs. 68 pF C-SM68 Item Height 0.31 in. 68 pF C-SM68 Item Length 0.43 in. 68 pF C-SM68 Item Width 0.14 in. 68 pF C-SM68 Packaging Dimensions 1.8 in. x 0.5 in. x 0.2 in. 68 pF C-SM68 Weight 0.001 lbs. 680 pF C-SM680 Item Height 0.46 in. 680 pF C-SM680 Item Length 0.6 in. 680 pF C-SM680 Item Width 0.18 in. 680 pF C-SM680 Packaging Dimensions 1.8 in. x 0.6 in. x 0.2 in. 680 pF C-SM680 Weight 0.003 lbs. 750 pF C-SM750 Item Height 0.36 in. 750 pF C-SM750 Item Length 0.45 in. 750 pF C-SM750 Item Width 0.19 in. 750 pF C-SM750 Packaging Dimensions 1.5 in. x 0.25 in. x 0.158 in. 750 pF C-SM750 Weight 0.001 lbs. 82 pF C-SM82 Item Height 0.47 in. 82 pF C-SM82 Item Length 0.59 in. 82 pF C-SM82 Item Width 0.17 in. 82 pF C-SM82 Packaging Dimensions 1.8 in. x 0.5 in. x 0.3 in. 82 pF C-SM82 Weight 0.003 lbs. 820 pF C-SM820 Item Height 0.46 in. 820 pF C-SM820 Item Length 0.6 in. 820 pF C-SM820 Item Width 0.19 in. 820 pF C-SM820 Packaging Dimensions 1.8 in. x 0.8 in. x 0.3 in. 820 pF C-SM820 Weight 0.004 lbs. I use silver mica caps in specific areas of the circuits in my amps.Much better tone than using ceramic wafer caps.